Because clay shrinks as it dries, a high percentage of clay in your glaze recipe will cause the glaze to shrink. If it shrinks too much, it will crack. This loosens the glaze from the surface of the clay body. 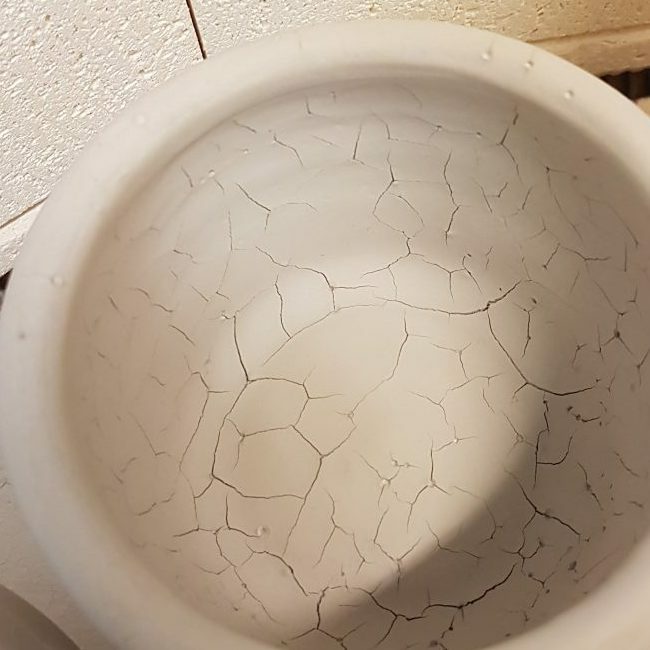 Examples of glaze cracking as it dries due to shrinkage. 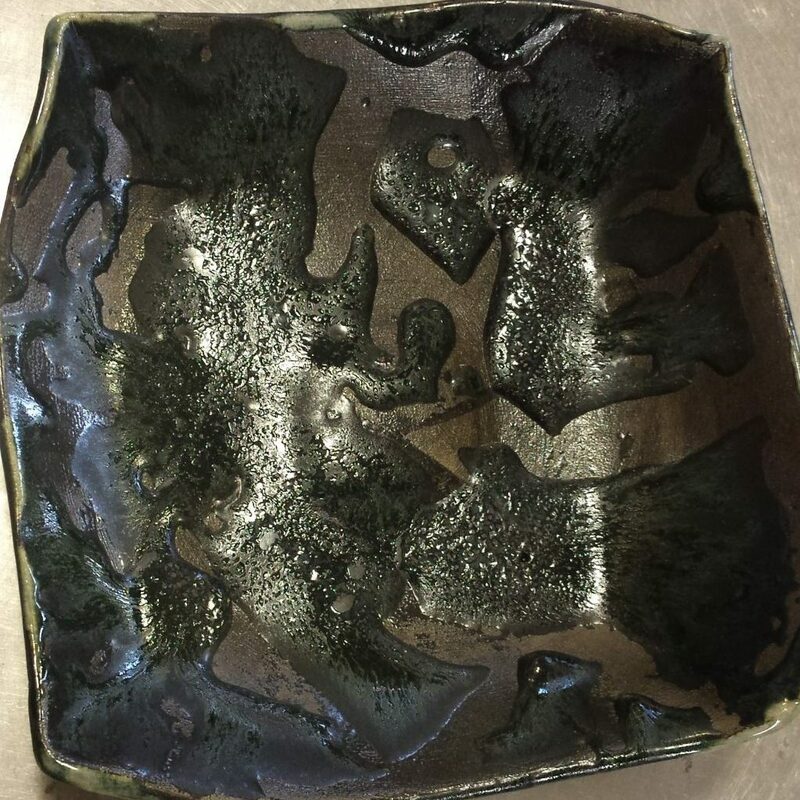 This can happen with high percentages of clay in a recipe and also from thick glaze application. 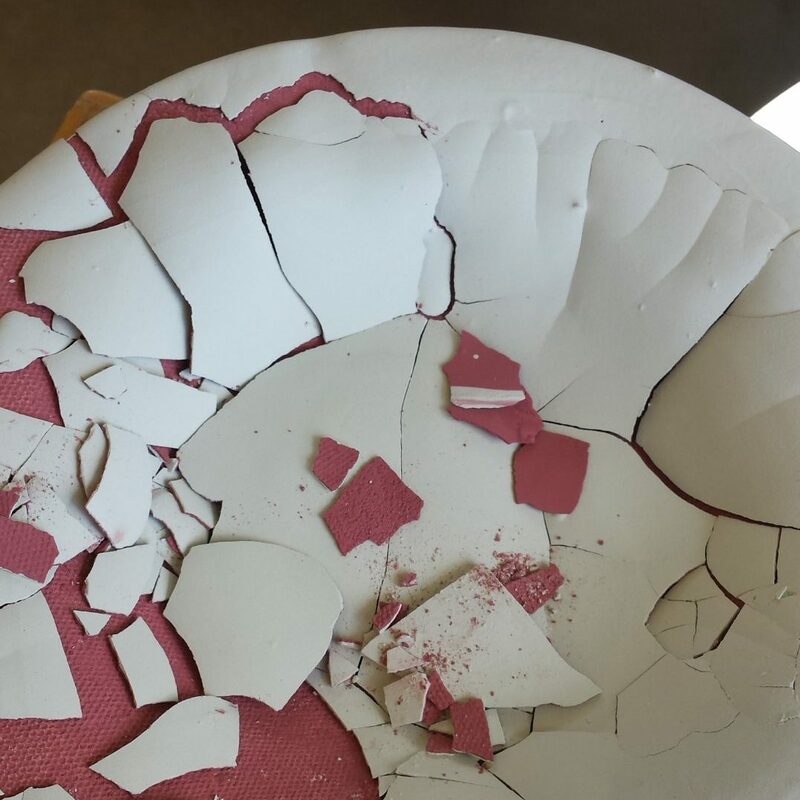 If the cracking is severe, bits of the glaze will fall off the pot before the firing. 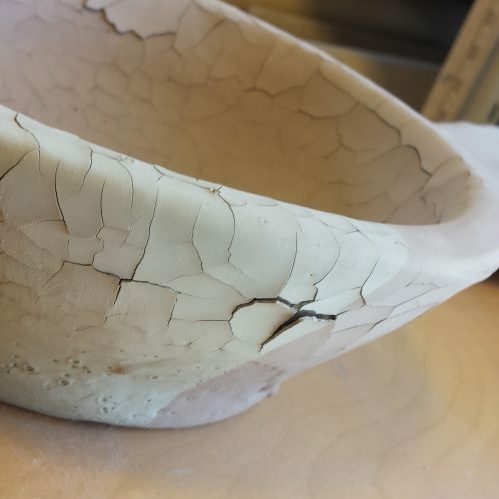 If you notice your glaze cracking at all, your best bet is to rinse it off, let your bisque dry and glaze again with a thinner application. 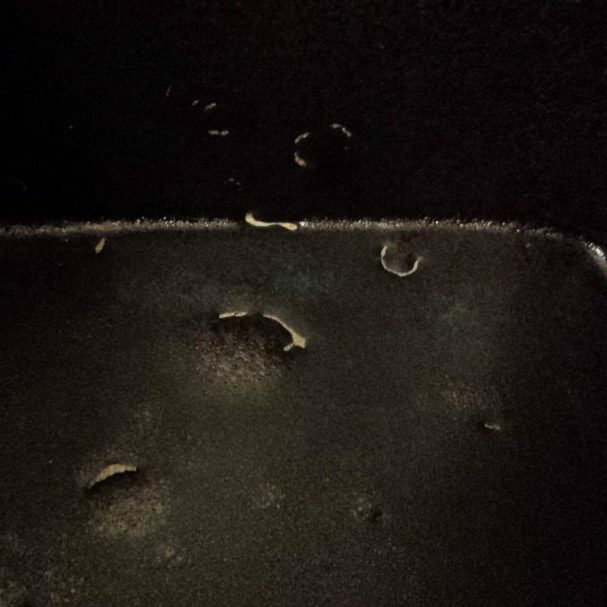 Check your glaze’s specific gravity before adding water. It may need to be deflocculated. 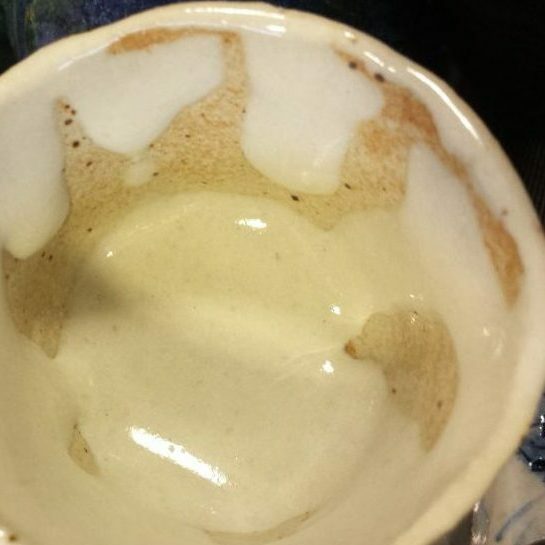 When we fire these cracked glazes, the glaze continues to shrink. The surface tension of the glaze is stronger than the adhesion of the glaze to the clay body. 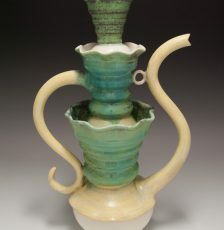 The glaze contracts and pulls away, exposing the clay body underneath. 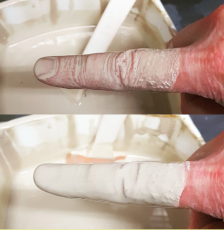 This usually happens with over 20% clay in a glaze recipe, common with matte glazes. Examples of crawling glazes, from minor to severe. 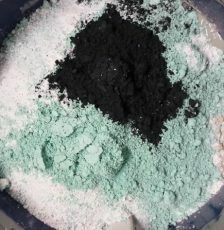 Another excellent use of Calcined Kaolin is in your kiln wash recipe. If your kiln wash flakes off really easily, it’s probably due to the clay content in the kiln wash recipe. Again, the clay shrinks as it dries and as it’s fired and cracks to relieve the stress. Replacing some or even all of the clay in your kiln wash with calcined clay will solve that issue. Experiment with different amounts to see what works best for you. The solution is to replace some of the clay with calcined clay. Calcining is where the kaolin is fired to a temperature hot enough to remove the chemically bound water molecules from the clay particles. This pre-shrinking of the clay reduces the shrinkage of the glaze as it dries and as it’s fired. Say you have a recipe with over 20% EPK and your glaze is cracking/crawling. You can replace some of the raw EPK with calcined EPK. You don’t want to replace all of it. We require un-calcined clay in our glazes because clay is what keeps all the other glaze materials suspended in water. Once clay is calcined, it loses its suspending properties. I try to keep my raw kaolin percentage in a glaze recipe between 10% and 15% and then calcine the rest. Kaolin can be purchased pre-calcined and is sometimes sold under the name “Glomax.” Or you can calcine your own. It is much cheaper and very easy to calcine your own. The current Greenbarn price for a 50 lb bag of Calcined Kaolin is $106. Regular EPK is $35 for the same amount. You can calcine your own EPK by putting some through a bisque firing. Just fill a bisque fired bowl or lidded vessel (to reduce dust) with EPK and put it in your next bisque firing. When it comes out, all the chemically bound water will be driven off. The kaolin will be very light and fluffy, use caution. 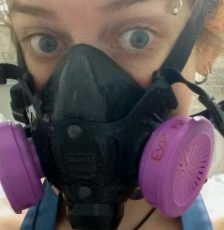 Wear a respirator when you take it out of the kiln and immediately put it into a sealed container. Label it as Calcined EPK and use it for substituting EPK in recipes. When replacing EPK with calcined EPK in a glaze recipe, we can’t do a 1:1 substitution, gram for gram. This is because EPK loses some of its mass (H2O) during the firing. We have to account for the chemically bound water that was driven off (called LOI – loss on ignition). Let’s see what happens chemically if we do a straight trade, grams for grams. 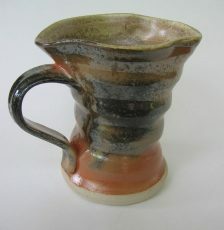 I created this glaze on the site Glazy.org with 25% EPK. 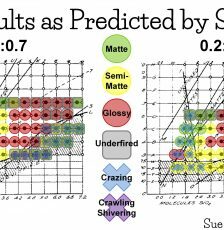 Note the analysis, specifically the SiO2­ and Al2O3 levels. Now see what happens if we subtract 10% EPK and add 10% Calcined Kaolin. The SiO2­ and Al2O3 levels go up because when we remove the H2O, we have a higher concentration of everything else (SiO2­ and Al2O3). We have to reduce the number of grams of calcined EPK to get the equivalent chemistry as with the raw EPK. 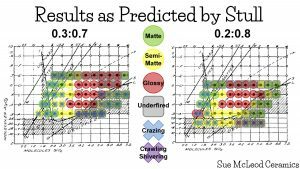 By reducing the Calcined EPK to 8% instead of 10%, my analysis now matches the original. The recipe total is now 98%. You can leave it like that or you can get glazy.org to normalize it back to 100% for you. I tend to leave it with the new reduced total as a reminder to myself that I made a change to it. So in the end, we removed 10% EPK from the total recipe and replaced it with 8% Calcined EPK. This can also be worded as, for every 10g of EPK that you remove from a recipe you can replace it with 8g of Calcined EPK. The resulting recipe will have the same chemistry as the original one, but will behave better before and during the firing. You do not have to reach bisque temp to calcine EPK. As long as it is fired above 1000ºF, it will be calcined. The reason for firing it to bisque temp is because that’s the most convenient method if you don’t have a small test kiln. If you’re calcining why leave any EPK? Why not sub out all of the EPK with 80% calcined EPK? The reason we don’t calcine all of the EPK is because we need some regular, un-calcined clay in our glazes to keep all the other materials in suspension. Once clay is calcined, it loses its suspending properties and will sink and settle like a rock in the bottom of the bucket. It’s the clay that keeps everything floating freely in the water. I like to keep my regular EPK between 10-15% of the recipe. That is enough to keep the glaze suspended. If you have little to no clay in your glaze recipe, you can add 1-3% bentonite, which is a very good suspending agent. A little goes a long way.